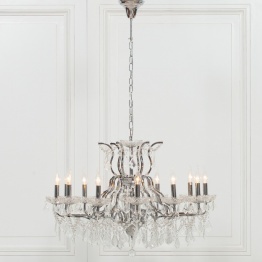 Among all decorative home accessories, no other item has received as much popularity as chandeliers did. This beautiful decorative object has developed its form and shape through the decades and has been modified by various countries. 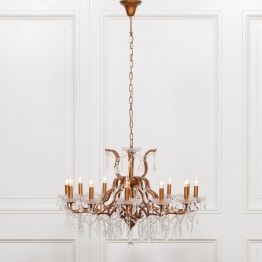 The beginning of this chandelier dates back to almost eight hundred years ago. With timedesigns progressed and became more detailed. The reason for this change was reflected by the growth of power and wealth of a certain section of society. 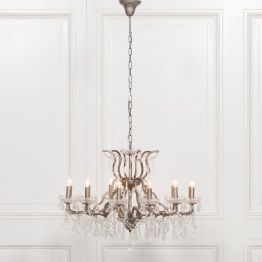 Chandeliers are true portrayal of aristocracy and royalty. It is considered to be a symbol of wealth. There is a large variety of chandelier types. French Chandelier, Wooden Chandeliers, Chateau Chandeliers, Glass Chandeliers, Cut Glass Chandeliers, Classical Chandeliers, Crystal Chandeliers are among most popular ones. Each type of chandeliers has some unique history behind to it. When we think of chandeliers, the first place we think of is our living space. Of course, this varies with people and their choices. Chandeliers are not restrictive. They can be put in any other place other than just the living area. One can put them in the bathroom, bedroom and even in the laundry room. It all depends on the style of the chandelier and how it is placed. Chandeliers can become a centerpiece of your home. 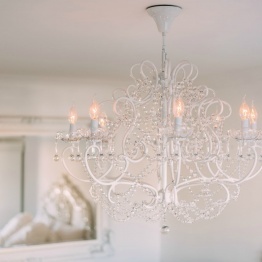 If you think of decorating the interior by adding a bit of glamour, chandeliers would be the perfect choice. Buying a chandelier can be tricky. 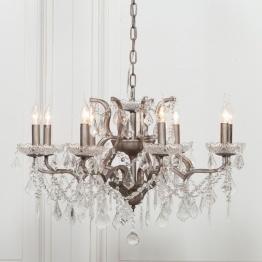 It is hard to choose right chandelier due to huge variety that is available in the market. Please keep in mind a few things before making the final decision. Purpose- One has to consider the purpose for buying the chandelier. 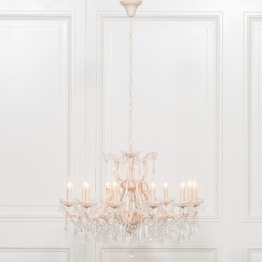 If it is solely for light, then it is better to get a medium sized chandelier with minimal décor elements. 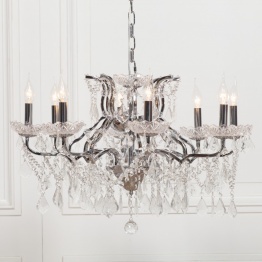 Keeping in tune with the rest of the décor, one can opt for a cut glass chandelier. Size- It is based upon the size of your room. The room dimensions need to be kept in mind as a very large chandelier for a small room can completely go wrong. Please make sure to measure up opening for ceiling rose and length of the chain. Height - Chandeliers need to be placed considering opening of the space. Finish- The finish of a chandelier says a hundred things about the interior design of the room. Care- Think of the care a particular type of chandelier would require. Please read care instructions as these would be different for wooden, cut glass and metal chandeliers. 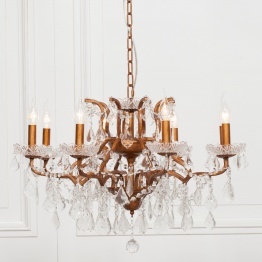 French Chandelier- French Chandelier portrays the traditional and intrinsic work. These are beautiful to complement décor of your home. Wooden Chandeliers- For even classier look, wooden chandeliers are a perfect choice. They go perfect with French country and farmhouse style. 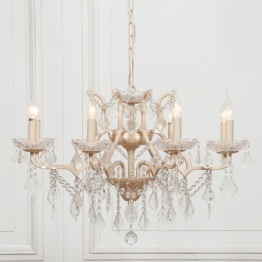 Chateau Chandeliers- By getting the inspiration from chateau collection of Southern France, these chandeliers are very popular. Art lovers always appreciate this beautiful kind of design. Glass Chandeliers- Glass chandeliers can work in classical and modern interior. They catch the light to add sparkle to the room.